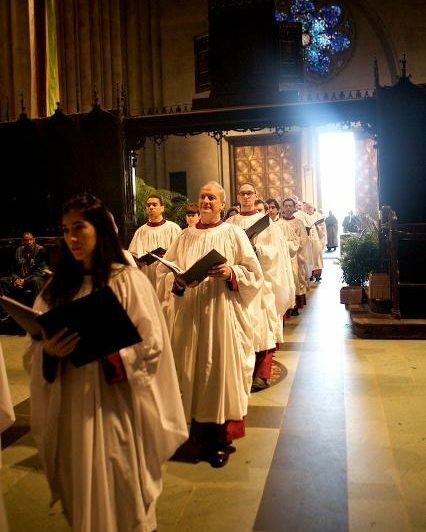 Tritle, the newly appointed music director at the Cathedral of St. John the Divine and host of The Choral Mix with Kent Tritle on WQXR, will lead the professional Cathedral Choir. Musical selections will include a cappella and accompanied works by Bach, Mendelssohn and Tallis, as well as The Best Beloved, a composition by longtime Trinity Church choir member Chris DeBlasio. Explore all of the stories, music, images and events surrounding the tenth anniversary of 9/11 from New York Public Radio: WNYC, WQXR and The Jerome L. Greene Performance Space. Get news reports and interviews. Explore photos and slide shows. Music, stories and archived audio. Find and attend related events. Participate in our 9/11 projects.